After visiting the Unity March in Paris last week, Ukrainian President Petro Poroshenko attends yet another march holding a placard written in French. 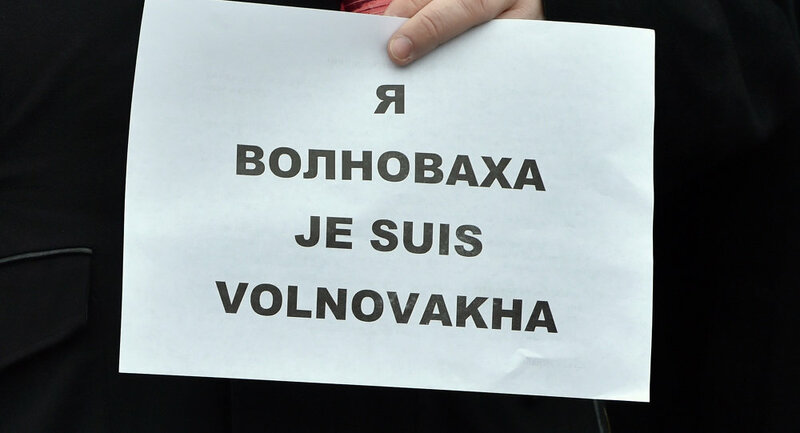 This time it is “Je Suis Volnovakha” during a rally in Kiev, meant to commemorate victims of a tragic incident in eastern Ukraine that killed 13 people. MOSCOW, January 18 (Sputnik) – Thousands of Ukrainians have marched on the streets of Kiev Sunday, holding banners that read “Je Suis Volnovakha”, at a rally meant to commemorate victims of a tragic incident in eastern Ukraine, in which 13 people were killed. Top Ukrainian officials, including the country’s President Petro Poroshenko and Prime Minister Arseniy Yatsenyuk joined the march. The title under which the march was organized is a copy-cat slogan of the now-famous “Je Suis Charlie” that started in Paris, after gunmen killed 12 journalists of the Charlie Hebdo satirical magazine on January 7. 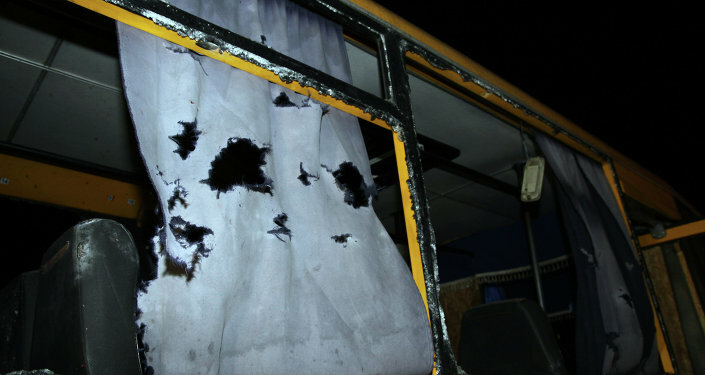 The bus attack in Volnovakha resulted in the death of 12 people, injuring at least 17 others. Kiev said that the bus was hit by rockets fired from the east, where local independence fighters were allegedly present at the time. However, the authorities of the self-proclaimed people's republic of Donetsk (DPR) have stressed that they were not involved in the attack. On Saturday, the OSCE released a report that said the rockets, which hit the bus, were fired from a north-north-eastern direction. Earlier, the OSCE Special Monitoring Mission in Ukraine confirmed that Kiev forces and DPR have agreed on the launch of a joint inquiry into the attack.